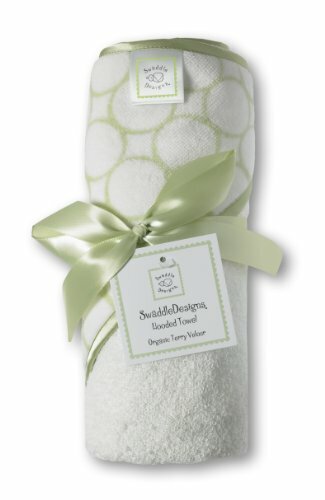 SwaddleDesigns Hooded Towels are made from the finest Turkish Cotton Terry Velour. After bathtime or swimtime, lovingly wrap baby in our soft and absorbent hooded towels. 30 x 30 inches (76 x 76 cm) and made of 100% Turkish cotton with a silky satin trim, this cozy hood will keep baby's head warm and prevent chills after bath. Coordinates with a variety of our quality baby essentials. Machine wash gentle.